Brooklands College is a ‘designated place’. All posts involve contact with children and vulnerable young adults and are therefore exempt from the Rehabilitation of Offenders Act, 1974. Applicants for positions at the College are required to provide details of all relevant convictions, spent or unspent, or cautions, and if there are any court actions pending. Existing staff are required to inform the Principal of any criminal charges, cautions or convictions during the period of their employment. The College is also subject to the provisions of the Protection of Children Act, 1999 and the Criminal Justice and Court Services Act, 2000, which require that the names of potential employees are checked against the Department of Health’s Protection of Children List and the Department for Education and Employment’s List 99, now superseded by the Disclosure and Barring Service, and that they not be appointed if their names appear on either of the lists. Disclosure is an integral part of the recruitment process and for every position (unless otherwise stated), an applicant will be required to make an application to the Disclosure and Barring Service (DBS). Existing staff taking up different positions within the College may also be required to make an application for Disclosure. The cost of Disclosure applications will be borne by the College. Applicants should provide details of convictions, cautions, etc., at the application stage, in a sealed envelope marked “Confidential” and addressed to the Head of Human Resources who is a DBS Countersignatory for the College. Any information received is treated in the strictest confidence and only seen by those who need to see it as part of the recruitment process. Failure to provide details of convictions, cautions, etc., may result in the offer of employment being withdrawn or, in the event of employment, in dismissal. All those involved in the recruitment process are trained in fair recruitment practices and in the relevant legislation, including the Rehabilitation of Offenders Act, 1974. They are, therefore, able to identify and assess the relevance and circumstances of offences during the interview or at a separate discussion. The College undertakes not to discriminate unfairly against any subject of a Disclosure on the basis of conviction or other information received, whilst having due regard to its duty of care for students, staff and other customers. Any matter revealed in a Disclosure will be discussed with the applicant before withdrawing a conditional offer of employment. Having a criminal record will not necessarily preclude an offer of employment since each case is determined according to the nature of the position and the circumstances and background of the offence(s). 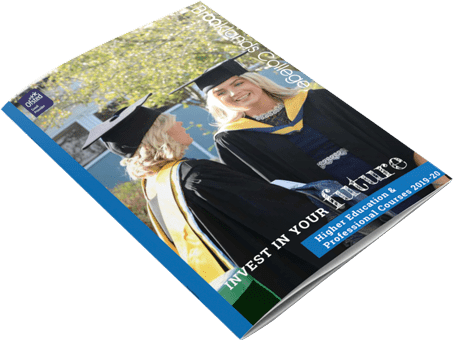 Education and training is a right for all and Brooklands College regards all of its existing and potential students, staff and customers as being of equal value. The College staff and governors aim to provide a secure and safe atmosphere and to remove barriers to achievement, to ensure equal access and equal opportunities for all, irrespective of disability, gender, ethnicity, religion, language, social class, learning ability/disability or difficulty, sexual orientation or age. In this respect, no one should receive less favourable treatment in relation to the curriculum, services, employment or any other aspect of College life. Brooklands College aims to present a positive image which is welcoming to all and to keep both the College and the community informed of its policy and ethos. In order to monitor that this policy is working and that we are not discriminating against any group, we ask you for details of your gender, ethnic origin and age, and whether you have a disability as part of your application. This is processed separately and securely and not included with the application information which is used for shortlisting and interview. If you have a disability, please do not hesitate to tell us if there are any facilities or equipment you need to help you at the interview or enable you carry out the job, if appointed. This will help us to assess you equally with other applicants. As part of application form, we ask whether you have GCE O Level, CSE grade 1 or GCSE grade A – C English Language and Maths. This is to support the government initiative to improve literacy and numeracy skills in the general population. It will not affect your application if you do not possess these qualifications but we may be able to offer you training to improve your skills in these areas, if you are successful in your application and you wish to take advantage of such an opportunity. You will be asked to supply evidence of your qualifications if you are offered a position and may also be required to undertake a literacy and numeracy assessment as a part of the interview process to assess your current levels. Appointment is subject to your express agreement to the College collecting, storing and processing personal data, including sensitive personal data such as health records, for the proper administration of the employment relationship. All data will be kept in accordance with the provisions of the Data Protection Act, 1998 and the associated Codes of practice, and employees will be given the opportunity to verify its accuracy on a regular basis. 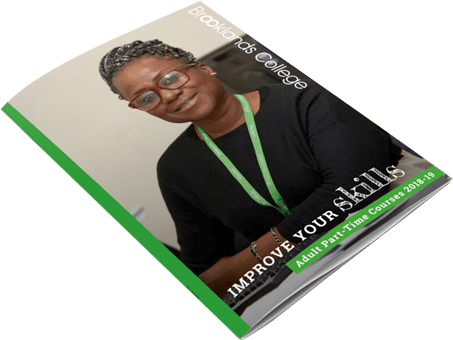 Every new employee of the College is subject to a six month probation period during which induction and any necessary training/coaching will be provided. There will be regular reviews at six weeks, three and six months. Subject to a satisfactory report at the six month review, the new employee will be confirmed in post. To comply with the provisions of the Immigration, Asylum and Nationality Act, 2006 and the Immigration (Restrictions on Employment) Order, 2004, if offered employment, you will be asked to provide proof of your eligibility to work in the UK prior to you starting work or on your first day of employment. Such proof includes your passport or original EU birth certificate. In addition, we require sight of original documentation showing your National Insurance number, e.g. P45, correspondence from the Inland Revenue or pay slip as well as approved photo ID (e.g. driving licence) if you have not produced your passport as evidence. You will not be able to start work until we have confirmed your right to work. If you are offered employment in a lecturing position or in some management or service positions, you will be asked to show us original certificates so that your qualifications can be verified. For teaching staff, the College’s Teacher Qualification Policy, lays down that all permanent staff, whether full time or on fractional contracts, should possess a Certificate in Education/PGCE or equivalent on appointment or achieve this qualification within a specified time. As the College provides education and training to many students under the age of 18 and to vulnerable young adults, all positions are exempt from the provisions of the Rehabilitation Offenders Act, 1974. If offered employment, you will be required to apply to the Disclosure and Barring Service [DBS] for a Disclosure Certificate. The College will undertake the check on your behalf but you are required to pay the application fee of £50.00. Appointment is also subject to a satisfactory medical report. Following an offer of employment, you will be asked to complete a pre-employment health questionnaire which will be reviewed by the College’s Occupational Health Adviser. The information you give is confidential. The College views the health check as beneficial to both the organisation and the potential employee, and having a health problem will not necessarily preclude you from being considered for appointment, but we may ask you to have a medical examination by our Occupational Health Adviser to make sure that you are fit to undertake the duties of the job; ensure that the work and working environment is appropriate for you and any adjustments required discussed fully. Appointment is subject to two references that are satisfactory to the College. One reference must be from your present or most recent employer; references from relatives or friends are not acceptable. If a reference is received which is unsatisfactory to the College, the offer of employment may be withdrawn or, if you have been permitted to start work, the appointment may be terminated.